As our motto is “ZeroPlastic”, there are absolutely no plastic parts on our bottle – even our teats and bottle lids are made from silicone! Should you wish to switch over from another bottle brand, our bottles are compatible with most leading teat and sippy spout brands. 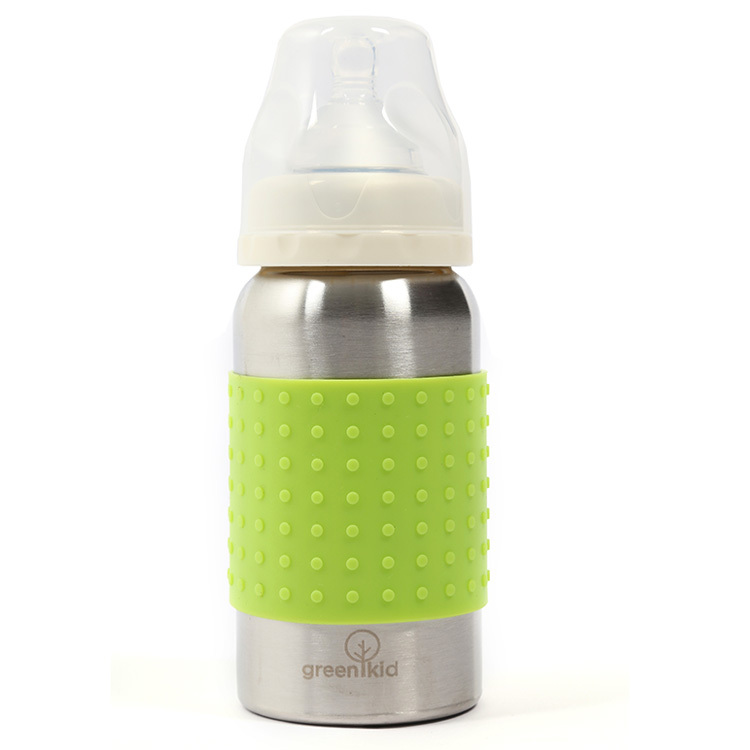 Green.Kid bottles are dishwasher , electric steriliser and electric bottle warmer safe! May be sterilised using ordinary bottle sterilisers such as Miltons. We recommend that you do not pour liquids above 38 degrees into the bottle. Steel is a very good indicator of temperature-remember: if it is too hot to hold, it’s too hot to drink!